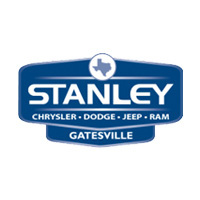 When choosing the right new Jeep Cherokee for sale near Waco, drivers want more than just low prices, wide selection, and easy financing, they want the best service in town, and they’ll find that at Stanley Chrysler Dodge Jeep Ram Gatesville. Explore the possibilities here and, when you’re ready to add a new level of adventure to your Gatesville commute, contact an associate to see why we’re the go-to destination for outdoor enthusiasts who demand more for their money. And this is only the beginning. Compare the new Jeep models available at Stanley Chrysler Dodge Jeep Ram Gatesville and get back on the road to adventure today. Contact Us One of the most fun parts about owning a Jeep Wrangler is that it has an exterior that welcomes change as easily as you might change your shirt. Once you understand how to remove your doors from your Jeep Wrangler, you’ll want to show off your new style on the roads of Killeen…. What is the Difference Between Lifted Trucks and Not Lifted?